The Bay Area is full of hidden treasures. A number of Bay Area towns and cities boast a unique charm with intriguing landmarks and destinations. 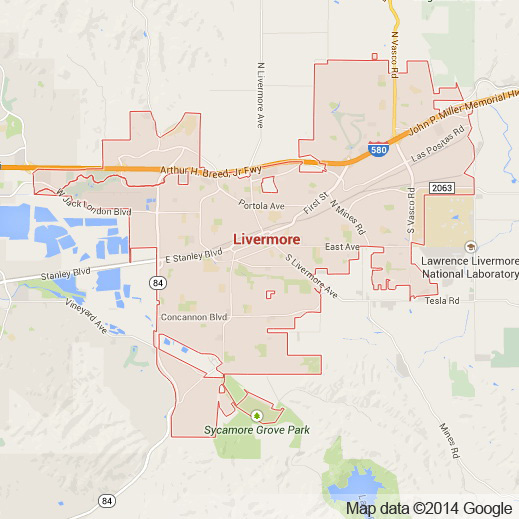 One particular place that should not be overlooked is Livermore. A city with a population just over 80,000 people and located in eastern Alameda County, Livermore is home to a number of destinations that anyone exploring the Bay Area must see. While Northern California’s most popular wine country is in the Napa Valley and the Sonoma Valley, Livermore’s vinicultural history is as old as California itself. Currently numerous world class wineries call Livermore home. Among others, Wente Vineyards, Concannon Vineyard and Cresta Blanca Winery are some of the incredible wineries producing Livermore’s delectable wines. While historically renowned for it’s vinicultural and agricultural past, Livermore has a number of historical buildings throughout the city. The Bank of Italy Building, the Hagemann Ranch Historic District, the DJ Murphy House and Ravenswood Historic Site bring any visitor back in time with their facades of a different era and the stories each building tells. More than just a place for history buffs and wine aficionados, Livermore’s downtown area is home to a number of delicious restaurants, fun bars and interesting shops worth exploring. In the spirit of Silicon Valley and the Bay Area, Livermore is also a Northern California hub for innovation and research. Lawrence Livermore National Laboratory and the Sandia National Laboratory among others are US Government owned research facilities. For anyone who wants to see all of this and everything else Livermore has to offer Apex Limousine Transportation is here to help. As Livermore’s number one luxury limo and sedan transportation and limousine provider, we offer comprehensive services to and within Livermore. For Bay Area residents interested in exploring Northern California’s lesser known Wine Country, Apex’s fleet of limo vehicles will perfectly compliment this day long adventure. With many historic wineries to choose from the Livermore Valley has unique wines unavailable in Napa Valley. They represent an older generation of California wine making and take visitors into a journey through California’s past. We also offer Livermore residents full Napa Valley wine tours for those looking to explore Northern California’s other premier wine producing region. At Apex limousine and sedans we also specialize in comprehensive wedding day services. We know how much work couples and wedding planners put into making weddings as special as they can be. For this reason we work directly with whoever is planning your wedding to ensure that our services make your special day the best it can be. Our professional drivers are some of the best in the business. Their reliability and timeliness set them apart from the rest. For businesses and individuals located in Livermore who need airport pick ups or drop offs, Apex offers limousine, sedan and SUV services to and from SFO, OAK and SJC airport seven days a week. Apex has consistently been rated Livermore’s number one choice for luxury limousine transportation for any occasion. Please call us for car service all inclusive total for Livermore to/from Napa Valley transfer.